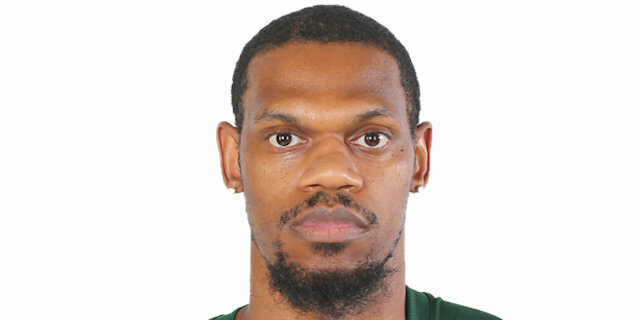 Lokomotiv Kuban Krasnodar clinched a place in the quarterfinals and extended its unbeaten run to 14 games with 60-85 road win at Cedevita Zagreb on Wednesday night. 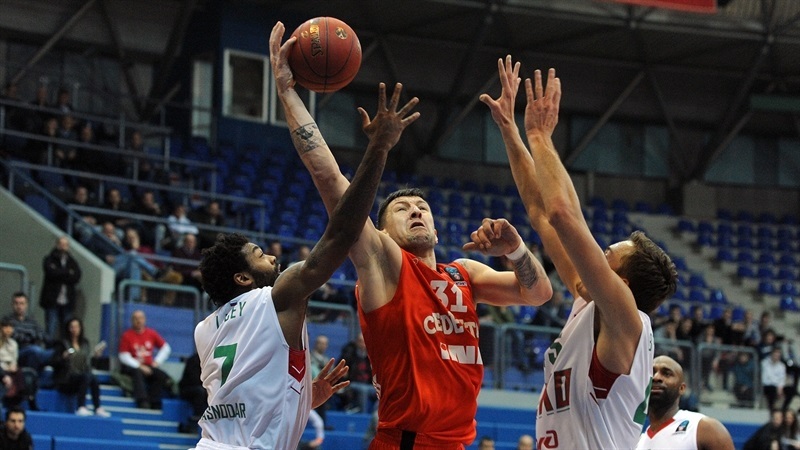 Lokomotiv improved to 4-0 in the Top 16 and remained in the first place of Group G, while Cedevita dropped to 0-4 and was eliminated from quarterfinals contention because Buducnost VOLI Podogrica defeated Dolomiti Energia Trento earlier Wednesday. Lokomotiv kept control of the game most of the night, before pulling away for good with a 0-12 spurt to open the fourth quarter and increasing the margin until the final buzzer. 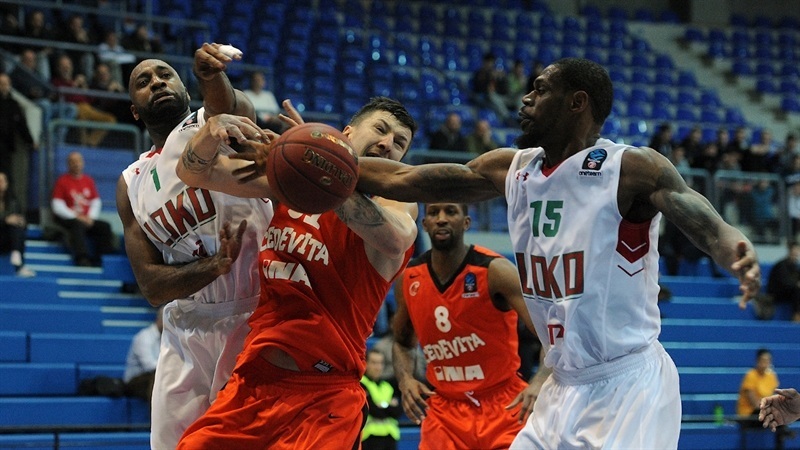 Lokomotiv’s defense held Cedevita to 1-for-23 three-point shooting, while making 13 of 26 three-point attempts. 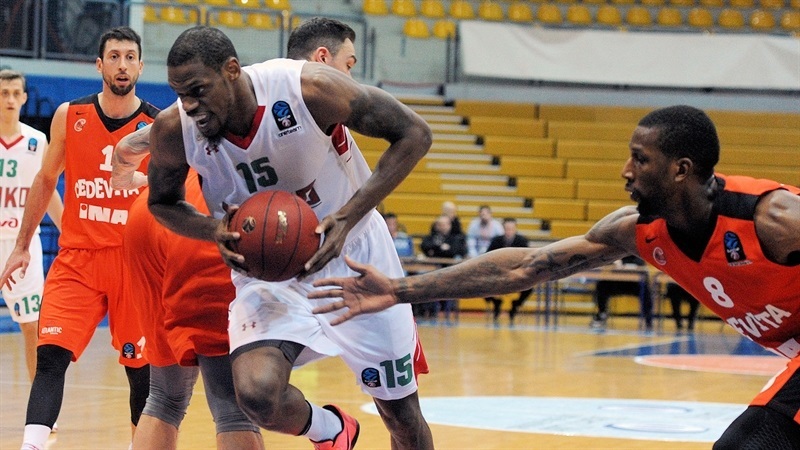 On a balanced offense, Lokomotiv had four scorers in double figures. Trevor Lacey led the way with 15 points, Dmitry Kulagin netted 14 with 5 rebounds and 4 assists. Ryan Broekhoff scored all of his 11 points in the second half, and Mardy Collins chipped in with 10 points, 5 assists and 4 rebounds. 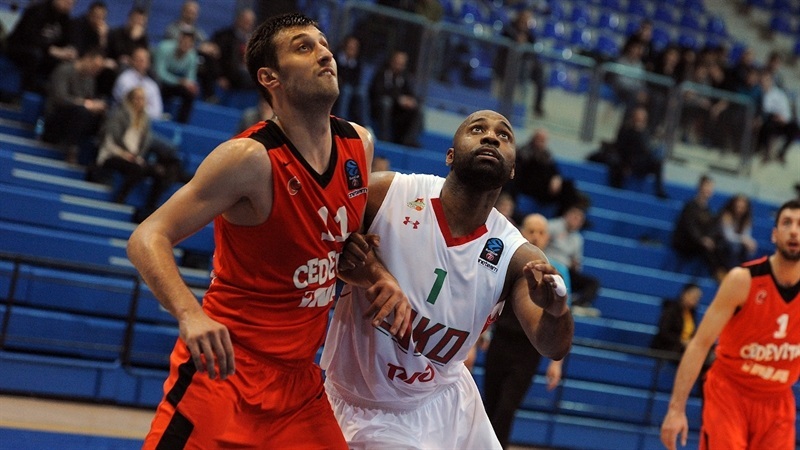 Andrija Stipanovic scored 11 of his 13 points in the second half for Cedevita, and Demetris Nichols also scored 13 in defeat. It was a low-scoring affair early on. 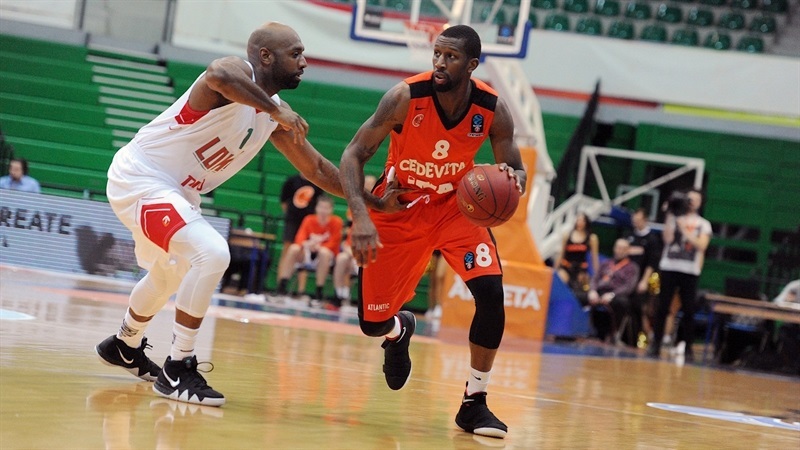 Chris Babb had a triple and a basket inside for the visitors, but Damir Markota had a pair of close-range baskets for Cedevita, and Karlo Zganec hit a baseline jumper to make it 10-9. But Lacey and Kulagin hit triples at the other end in helping Lokomotiv to a 14-17 lead after 10 minutes. 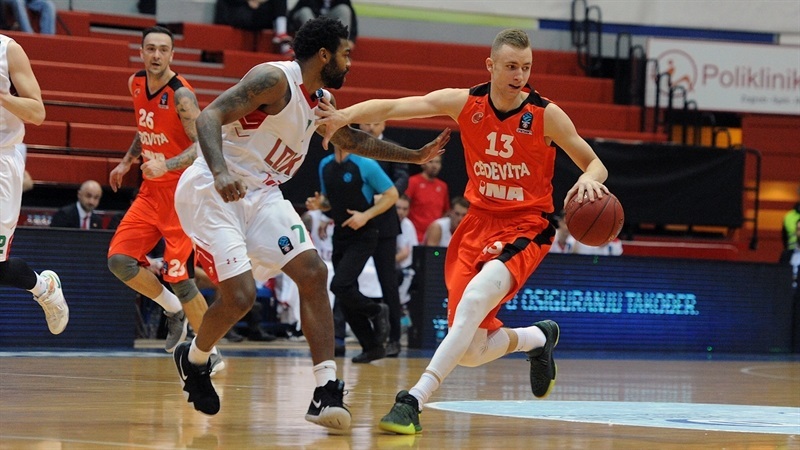 Zganec scored 5 consecutive points early in the second to regain the lead for Cedevita, 21-19, but short jumper in traffic by Collins sparked a 0-9 run that also saw Dmitry Khvostov hit a triple and Frank Elegar score 4 points. 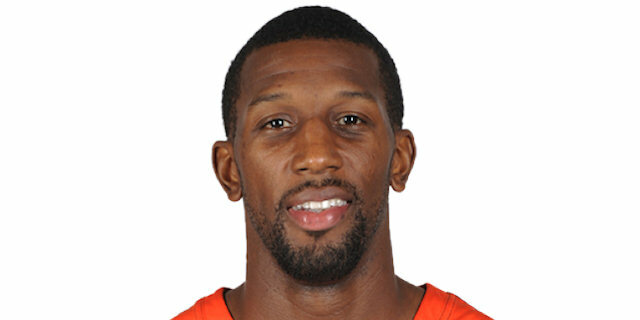 Dzanan Musa made a jumper for the hosts, but Elegar continued to dominate inside, and Collins beat the buzzer with a runner that made it 29-41 at halftime. After Nichols opened the second half with a three-point play, Broekhoff replied with a three-pointer, before Lacey and Collins each drove to the hoop to extend it to 34-48. The visitors did not stop there as triples from Lacey and Broekhoff opened a 38-56 lead. 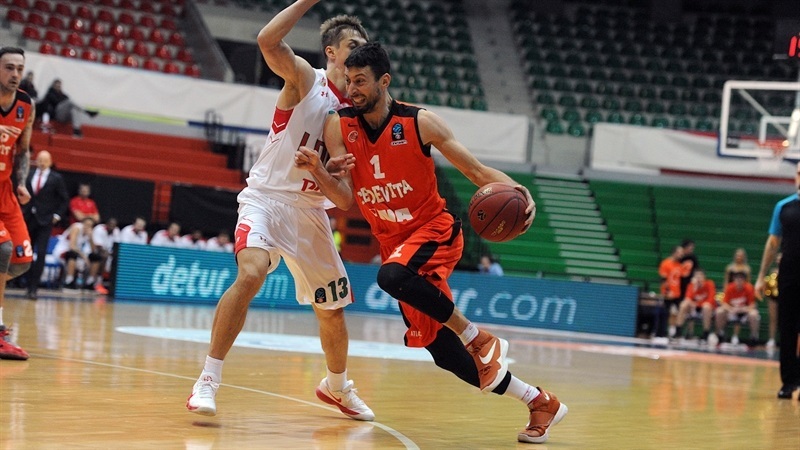 Stipanovic strung together 9 points for Cedevita, fueling a run that first cut the deficit to 47-56. 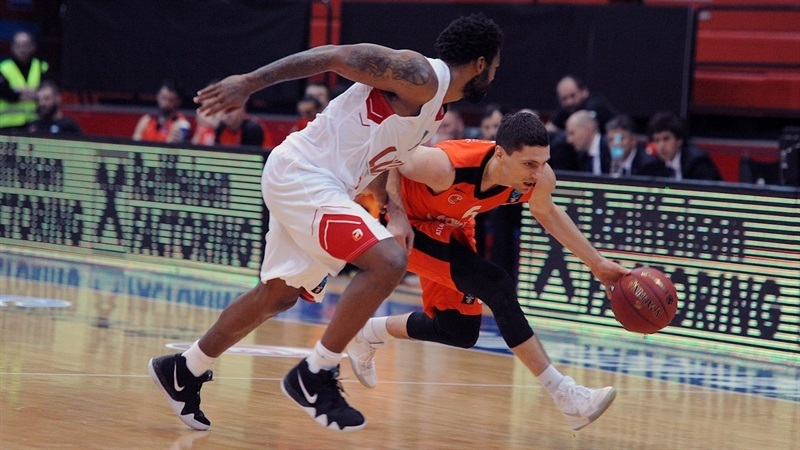 Evgeny Baburin snapped the run with a three, but Cherry, Stipanovic and Nichols each scored a close range basket that had Cedevita within 53-59 after three quarters. 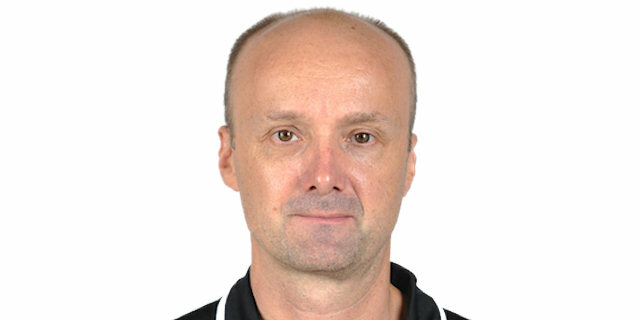 Kulagin hit from the distance, and Collins took it to the rim in the opening minute of the fourth to restore a double-digit Lokomotiv margin. Brokehoff’s dunk and a triple helped made it 53-71. Nichols snapped a 0-12 run with a three-pointer with six minutes to go in the game. That was Cedevita’ first triple after opening the game with 20 missed attempts. However, Lacey and Khvostov hit threes on the other end, erasing any doubt as to the outcome of this contest. 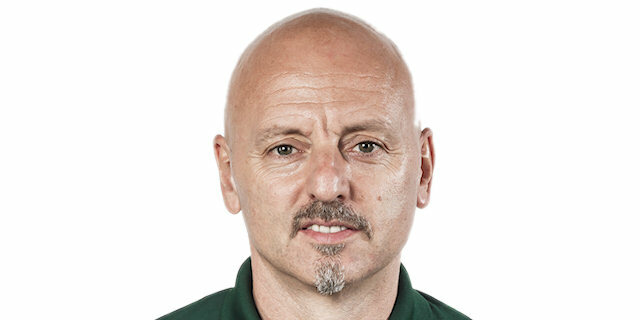 "Lokomotiv Kuban plays really good and that is how I want us to play. You can’t win if you make only one three-pointer out of 23 attempts. They took advantage of every opportunity we gave them tonight. We managed to cut their lead to 6 points at the end of the third quarter, but they played very good in the last 10 minutes. My players tried to give their best, but they made too many mistakes." "We won by 25 points, but this game wasn’t so easy for us. I think we controlled the bigger part of the game and we deserved to win. We want to win every game. I am very happy with the result and the way we played tonight." "They came here to win. They accomplished that and we need to play better individually and as a team. We cannot play good for only five minutes out of 40. It is important to cherish every possession. Lokomotiv execute plays, they finish plays and that was the difference tonight. They are probably one of the best teams in Europe right now." " It was a tough game. We had a big lead, but we did not stay focused until the end. In the end, we made the right plays, we made shots and we got some stops."